31 Legacy Players named ALL DAILY PRESS ALL STAR! 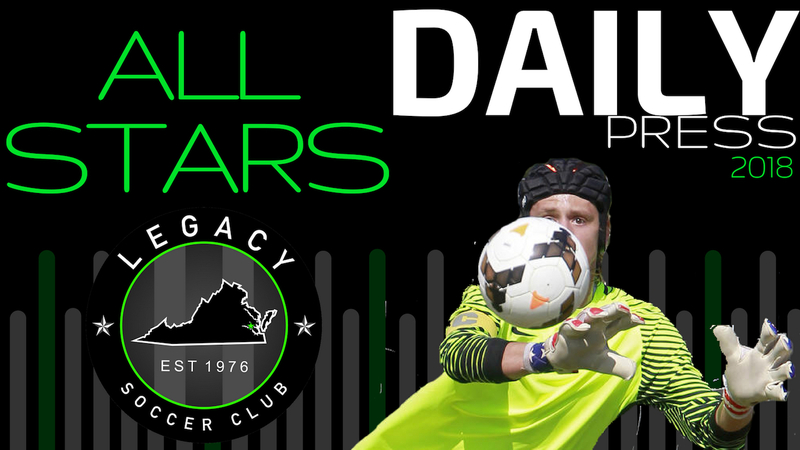 The Virginia Legacy woud like to congratulate the 31 players who were recently named to the All Daily Press All-Star teams. 15 of the 19 Boys and 16 of the 19 girls all play their club soccer at Virginia Legacy! These players were selected for their performance on the field this past spring regardless of their schools classification (3A, 4A, 5A, private etc). In addition to the 31 players selected below - Legacy's own Erin Gravette was named the Girls Daily Press Player of the Year! Join us in congratulating the 31 young men and women for being recognized as the top players in the Hampton Roads/Tidewater area and on outstanding high school seasons! Click here to see the full boys team! Click here to see the full girls team!